Maintaining femoral bone density in adults: how many steps per day are enough? The amount and intensity of walking to maintain a healthy skeleton is unknown. This study examined the relationship between habitual walking activity and femoral bone mineral density (BMD) in healthy individuals using a quantitative theory for bone maintenance. Our results suggest a gender, weight, and speed sensitivity of walking interventions. 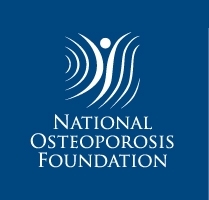 Walking has been extensively promoted for the prevention of osteoporosis. The amount and intensity of walking to maintain a healthy skeleton is unknown and evidence to support a specific target of steps per day is lacking. The goal of our study was to examine the relationship between habitual walking activity and femoral bone mineral density (BMD) in healthy individuals using a quantitative theory for bone maintenance. Habitual walking activity and total femur BMD were measured in 105 individuals (49–64 years). An index of cumulative loading (bone density index, BDI) was examined as a predictor of BMD. The BDI–BMD relationship was used to predict the steps per day to maintain healthy BMD values for a range of body weights (BW) and walking speeds. For females but not for males, BDI was correlated with BMD (r 2 = 0.19, p < 0.001). The total required steps per day to maintain a T-score of −1.0 for a female with the average BW of the study cohort, walking at 1.00 m/s is 4,892 steps/day. Substantially more steps (18,568 steps/day) are required for a female with a BW 20% lighter than the average for our female cohort. For these lighter females, only at a walking speed greater than 1.32 m/s was 10,000 steps/day sufficient to maintain a T-score of −1.0. 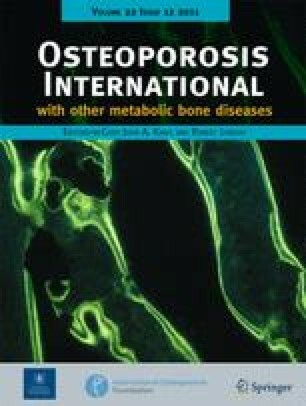 Our results suggest a gender, weight, and speed sensitivity of walking interventions for osteoporosis. In persons of low BW, the necessary steps per day to maintain BMD can be substantially greater than the often-quoted 10,000 steps. This material was based on work supported by the Department of Veterans Affairs, Veterans Health Administration, Rehabilitation Research and Development Service, Merit Review project A2592R. Special thanks to Christy Dairaghi, Barb Elspas, Joe Guerricabeitia, Jonathan Rylander, and Sparkle Williams. Department of Veterans Affairs, Veterans Health Administration, Rehabilitation Research and Development Service, Merit Review project A2592R.